Google is allegedly developing its own app-based taxi service, according to a Bloomberg report citing a person close to Uber's board. Furthermore, both companies are said to be looking into getting driverless cars involved in their taxi ride-hailing businesses. The two companies currently have a close relationship, as Google Ventures is one of Uber's biggest investors. The firm invested $258million in the Uber app in August 2013, that was the Google investments arm's largest deal ever. That probably helped Uber to become listed as a transportation method in Google Maps. Earlier speculation was upon the two companies partnering up, or for Google to simply acquire Uber, a natural move since Uber's biggest expense is the drivers and Google was working on a self-driving car. The new report suggests that the inter-company relationship seems to have unravelled with the two companies moving into each other's territories. David Drummond, Google's chief legal officer who was put on Uber's board of directors following the investment, is said to have informed the board that Google is working on a ride-sharing app of its own, likely in conjunction with its driverless car project. Screenshots of Google's app, which is currently being tested by Google employees, have been shown to Uber executives, according to the source. Apparently, the Uber board is now considering whether to ask Drummond to resign his position as a board member as they are "deeply concerned" that Google is due to become a key competitor. 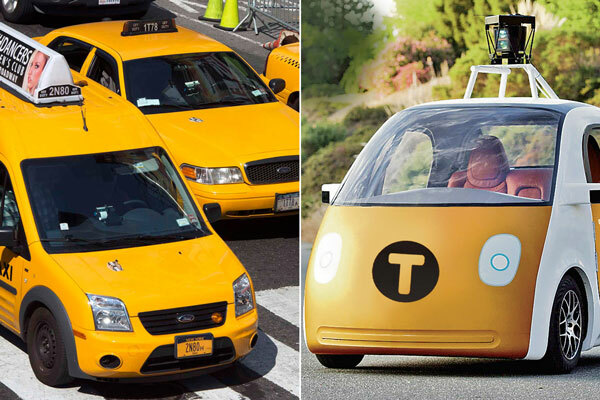 Although it would seem that Google is already a step ahead when it comes to autonomous cars, a TechCrunch report outlined Uber's announcement that it has teamed up with Carnegie Mellon scientists to develop core technology necessary to build a fleet of driverless taxis. The firm is building a robotics research lab in Pittsburgh, PA for the engineering and commercialization experts that have come on board. Considering that Google's self-driving car project isn't expected to be ready for mass consumption until at least 2017, it seems a little early for the firm to be showing off an app for the service. A source of The Wall Street Journal stated that the situation has been "blown out of proportion", and adds that a Google engineer has been testing an internal app to help its employees carpool to work that "isn't associated with the company’s driverless cars program." Two people familiar with the matter also stated that they weren't aware that Drummond had been asked to step down. With both companies declining to comment on the news, it remains to be seen how the situation develops in the future. Total Recall Johnny Cabs here we come! Um more competition then. Always a good thing if done on fair terms. So has anyone here used Uber then? I'm seeing more and more Uber taxis in my city now. Though they are still in the minority but they are growing. I have also read somewhere that Stagecoach (biggest in my city) are planning on doing something similar but the buses has GPS Tracking System in them so you will know how far and how late/early your desired bus is from your closest stop. This is will be so useful for the early morning rush hour and no more rushing like mad to the stop only to discover that it is late or you missed it. Isn't Uber banned in a few cuntries? Uber had a fair bit of bad press for a number of reasons at the end of last year but I think it is very subjective on the country/place. I know a lot of people in Manchester UK that are mote than happy to use Uber. I've had mixed experiences with uber in London before. From good, quick, cheap service to “urrr I can't find you, can you walk a mile down the road to me”.